What you need to know to start building and financing your dream home. Building a custom home can be extremely rewarding, challenging and exciting, often all at the same time. 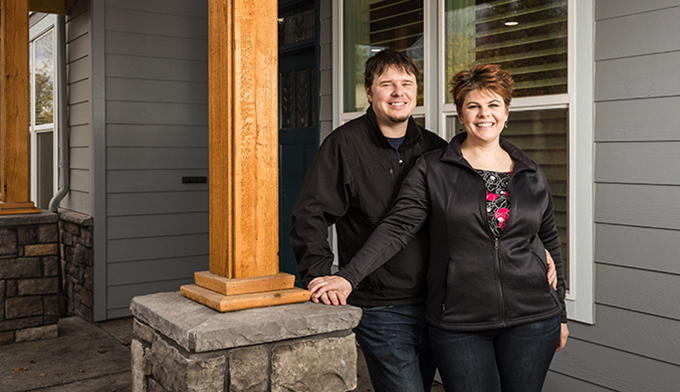 For generations Northwest Community Credit Union has helped members build their dream homes. We’re here to help you with the knowledge, tools and resources you’ll need from inspiration through move-in day. When Tiffany and James decided to build a custom home next door to their parents, the first place they came to was Northwest Community Credit Union. As a longtime credit union employee, she knew we are one of the leading construction loan lenders. With years of expertise and know-how, we were able to help the couple build their dream home and strengthen the community. As Tiffany points out, designing and building their own home was very rewarding. Her father-in-law helped with his architectural background and the couple was able to get everything they wanted into their home, including extra-wide hallways and 36-inch wide doors. Tiffany suggests that anyone interested in building their own home go out and visit new open houses, shop home improvement stores, and read online articles for creative ideas. ViJay Altergott, Construction Loan Advisor at Northwest Community Credit Union, answered all of the Tiffany and James’ questions every step of the way. With 22 years of experience helping people successfully build their dream homes, as well as building her own custom home last year, she knows the construction loan process, which starts with a phone call or in-person meeting at the credit union. Once ViJay understands what a member wants and needs, she can guide them in the right direction. She and her team can explain what the member needs to provide, what lending products might work best, and what they can expect from Northwest Community, including a pre-qualification checklist. 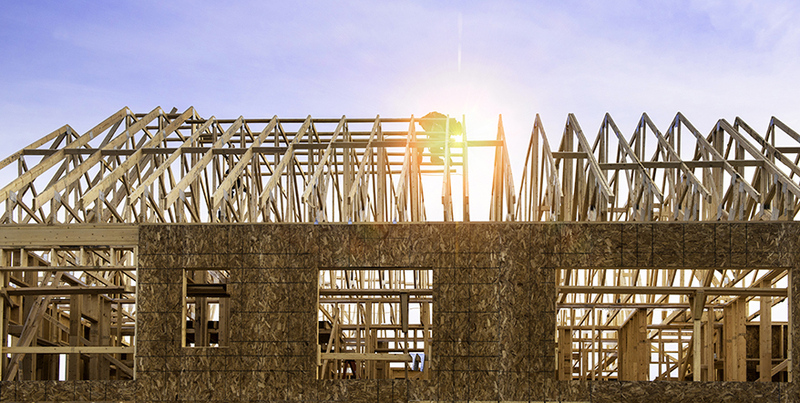 How is a Construction Loan Different from a Traditional Mortgage? With a traditional home loan, you’re simply financing a pre-existing home with a market-based value. Construction loans allow you to obtain mortgage financing prior to the home actually being built. To help keep members on track and to understand the process, she provides them with benchmarks, explains the benefits of our land loans and the credit union’s innovative One-Time Close Loan that combines everything into one loan. Start with a Land-Only Loan with as little as 25% down and interest-only payments. If you’ve found a property that you’d like to buy but aren’t ready to build yet, our Land-Only loans allow you to acquire the land while finalizing your building plans. Keep in mind that the size and shape of your property matter significantly when it comes to planning and designing your home. Apply for a One-Time Close Loan. This combines your construction and permanent financing into one loan with one closing. Your mortgage interest rate can be locked in as early as your construction loan closing, with interest-only payments in the meantime. At Northwest Community Credit Union, we’re here to lend expertise and money to help you build your dream home. From land purchases to construction loans, we’ll take the guesswork out of your project and put you on the fast track to home ownership. In our next blog we’ll cover how Tiffany and James picked the team for their new home. Plus, we’ll check back in with ViJay about the loan process at Northwest Community Credit Union, as well as everything you need to know before construction begins.